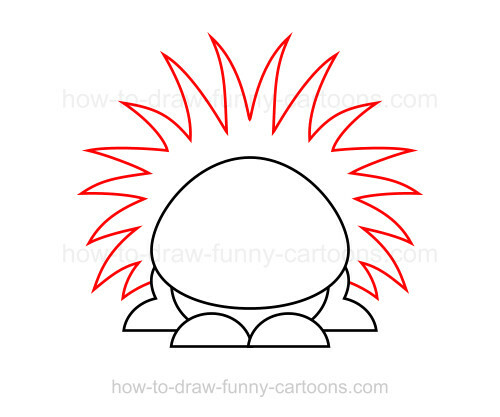 Spines are not an issue when trying to learn how to draw a hedgehog using this amusing tutorial! 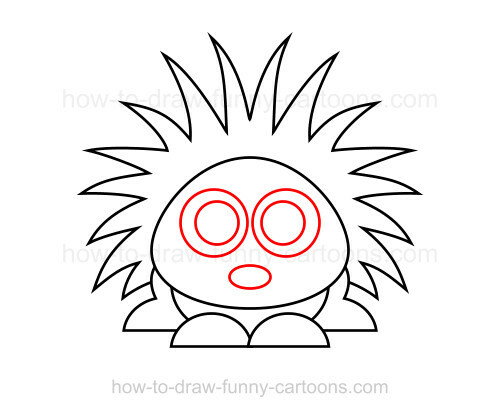 You simply need to concentrate on sketching nice shapes and perfect lines to represent this fun animal properly. This template is simple and was designed so that anyone who wants to create this character could achieve his goal easily. Below is a sample of a colored version of the final illustration. 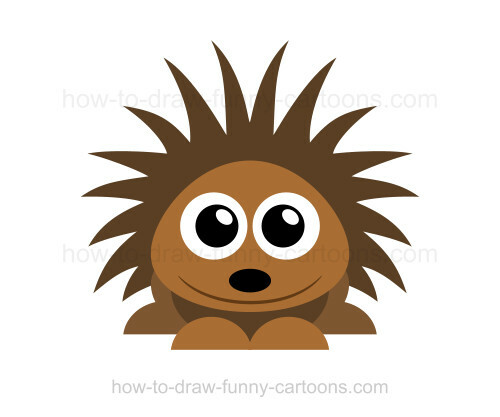 The hedgehog is mostly filled with a dark brown color. 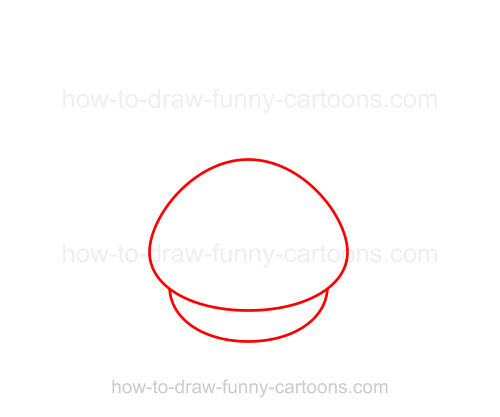 Most of the cartoon animal is made from circular shapes. 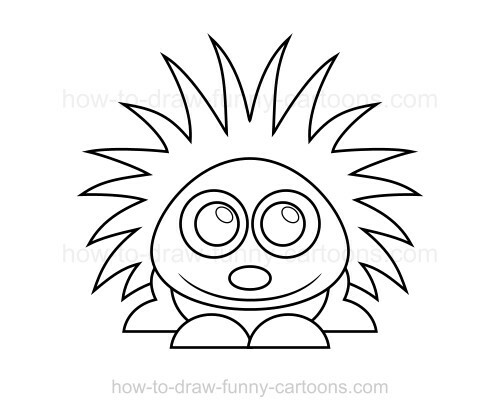 Are you ready to sketch this cute animal? Let's start now! Good! Let's begin with the creation of the head. Use a large oval shape to represent this one. Notice how the top of the shape is slightly narrower. On the bottom of the head, sketch the body using a long curved line. Continue working on this illustration using small oval shapes to form the front legs. The back legs can be illustrated with a long curved line that is pointed on the bottom. Great! To draw the spines, you need to use many small (and longer) triangles like shown in the illustration below. On top of the head, draw longer spines while smaller ones can be drawn on each side of the animal. Next, draw large circles to form the eyes. The pupils are also made from smaller circular shapes. The nose can be created from a small oval shape. Nice work! We are almost finished! 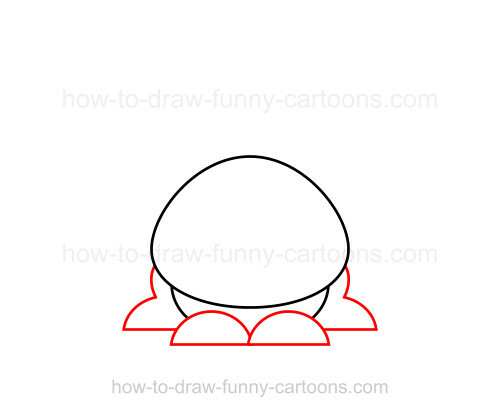 Finally, you can complete this drawing tutorial by adding a long curved line to create the mouth. The pupils are also filled with small oval shapes that are drawn on the right side of the pupils. 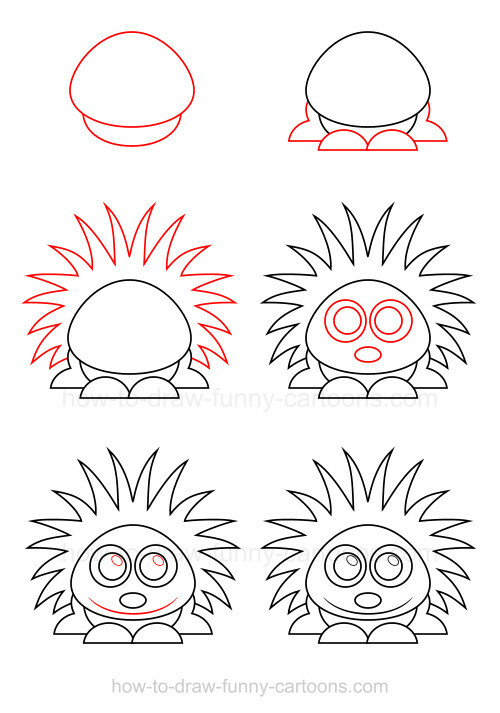 These are all six steps needed to draw this cartoon animal. 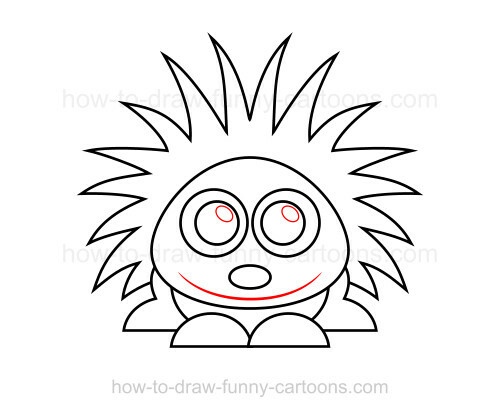 Hope you had fun and don't hesitate to practice often if you are having trouble sketching this hedgehog properly.